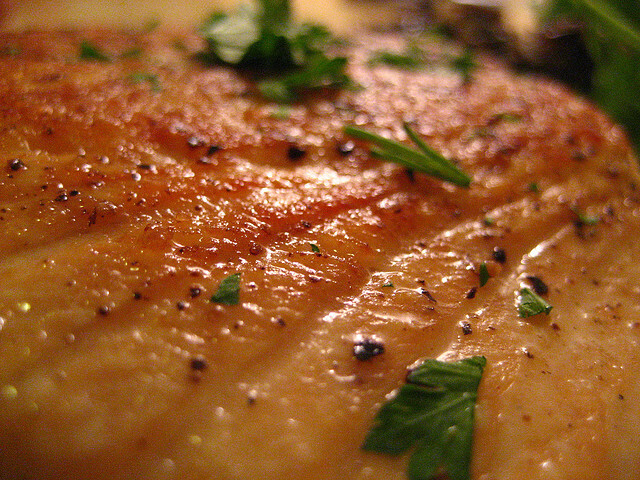 Pan-searing salmon is the quickest way to prepare salmon – short of microwaving it. 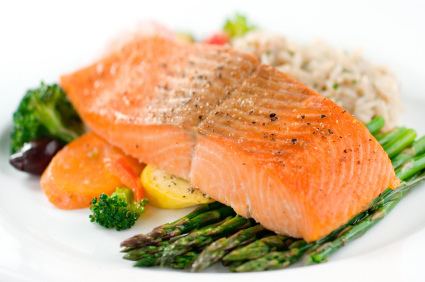 Cooking salmon on the stove in a frying pan is one of the easiest ways to prepare a quick, healthy, delicious meal. Every basic baked salmon recipe has lemon in it. This one is no exception. This is a very simple recipe for cooking oven baked salmon. You will also need some aluminum foil. Preheat your oven to 375 degrees Fahrenheit or 190 degrees Celsius. Finely chop your garlic and mix it with at least six tablespoons of olive oil, a teaspoon of salt, pepper, and basil. Add about a tablespoon of parsley and anywhere between one and three tablespoons of lemon juice. Put your fillets onto a large piece of aluminum foil and pour in the mixture of oil, garlic, and spices. You should bake them until they can easily flake when pressed with a fork. Properly baking salmon usually takes between thirty five and forty five minutes. You can put the foiled up salmon fillets on a baking sheet, but to avoid making a mess of your oven I’d recommend using a casserole dish.